Have you ever woken up minutes before your alarm clock goes off? Annoying, yes, but useful if the alarm were to fail. 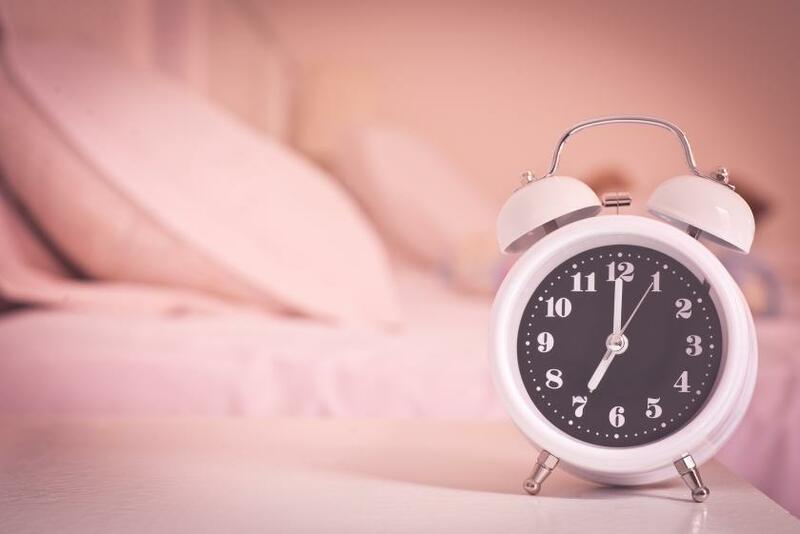 This happened because your body had become so accustomed to waking up at a certain time that it didn’t need the reminder; you’d fallen into a habit of sleep and wakefulness that became natural. We often attribute this ability to our internal clock, also known as our circadian rhythm. While this association is correct, the circadian rhythm does more than just help us become adjusted to a certain waking time. It affects sleep/wake cycles, body temperature, hormone release, and the way we adjust to seasons. It has been hard to pin down what exactly controls this phenomenon, but in a new study, researchers were recently able to link changes in certain neurons to the way the brain adjusts to changing seasons, giving us a little more insight into how the internal clock works. The Circadian Rhythm — What Is It Exactly? The body’s ability to adjust mental and behavioral processes with the time of day is influenced by many factors. How long we’ve been awake and the amount of light in our environment are two factors that influence when we fall asleep, but even without these, our bodies have natural times in which they urge us to fall asleep or wake up. According to the National Sleep Foundation, our strongest urge to sleep occurs between 2 a.m. and 4 a.m. and 1:00 p.m. and 3 p.m. — periods referred to as circadian dips. These dips are believed to have developed for evolutionary reasons, by taking advantage of the light hours and resting during the less-useful dark ones. We humans aren’t the only ones who can do this. Other animals, and even plants, have circadian rhythms. Plants, for example, need their internal clocks to tell them when to flower, which is based on the season. This seasonal awareness also occurs in animals, which is where researchers of the current study found a link to certain changes in neural structure. Neural Plasticity — A Key To Understanding Our Internal Clock? Changes in neural structure are denoted with the umbrella term “neural plasticity.” Neural plasticity refers to changes in neural pathways and synapses, which can result from variations in the environment, thinking, behavior, and emotions. In the study linking this occurrence to circadian rhythm, researchers focused on the axon termini — the ends of neurons that make synaptic contact with other cells — of a neuron called s-LNv, found in the brains of fruit flies. Earlier studies of “clock genes” in fruit flies has led to the identification of similar genes in humans, so understanding the way a fly regulates its internal clock may provide clues to how ours works, too. For the study, published in the journal Cell, scientists examined the daily changes in the s-LNv cell and saw that their axon termini grew and retracted every 24 hours. They found that this plasticity is required for both maintaining circadian rhythm and for allowing the seasonal adaptation of these rhythms. Basically, if s-LNv is unable to retract its axon terminal, then flies behave normally during the winter, but fail to predict dawn during the summer. Contrastingly, if the s-LNv remains in a retracted state, the flies behave as if it is summer during both long and short days. Even the protein at the end of the neuron (Rho1) has a rhythm. At dawn, s-LNv has high levels of the proteins associated with sending signals, and low levels of those associated with receiving signals. At dusk, the opposite is true. This is an unusual type of neural plasticity, and it suggests that the function of certain neural structures changes dramatically over the course of a day. "Neuronal plasticity underpins learning and memory, but it is very challenging to tie changes in specific neurons to alterations in animal behavior," explained Justin Blau, the paper's senior author and a professor in NYU's Department of Biology, in a press release. "In our research, we've discovered how plasticity of a very small number of neurons helps run the biological clock and aids transitions to different seasons." It can be hard to imagine how such tiny structures can have such a major effect on our daily patterns, but it is these changes that may form the basis of why we can tell the difference between morning and night, or winter and summer. The team’s findings could also shed some light on a human condition known as spinocerebellar ataxia—a neurodegenerative disease that affects movement and coordination. Some of the changes in Rho1 were controlled by a gene very similar to that which causes the disease (Puratrophin-1). "Since some forms of spinocerebellar ataxia are associated with mutations in human Puratrophin-1, our data support the idea that defective neuronal plasticity underlies loss of motor control and leads to neurodegeneration," Blau said. Source: Blau J, et al. Changing Clocks And Changing Seasons: Scientists Find A Role For Neuronal Plasticity. Cell. 2015.